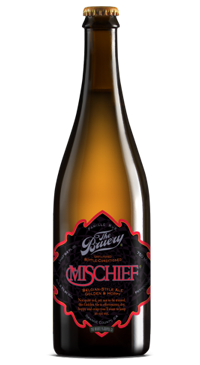 Every year, the Bruery makes Mischief. A dry-hopped Belgian Strong Golden Ale where every year the hops that are used to dry hop are changed. A style that’s known to be complex, and delicate with high alcohol (Have you ever tried Delirium Tremens?) and notes of citrus peels, subtle spice, and lively carbonation with a dry finish.